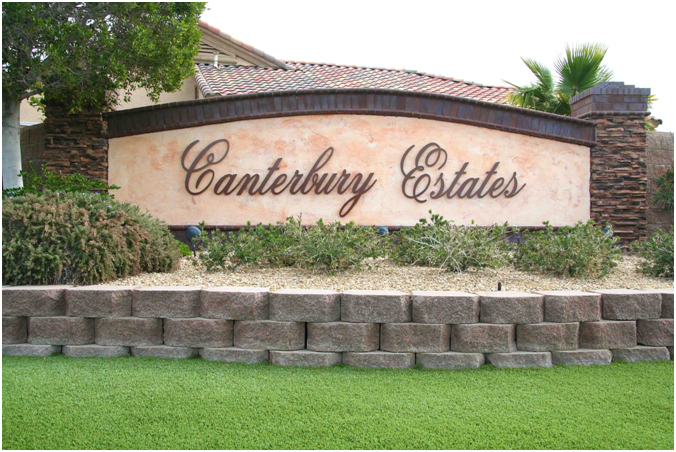 Canterbury Estates is located in a gated neighborhood in North Lake Havasu on the "lakeside of Highway 95". It is situated close to The Shops at Lake Havasu mall and the Lake Havasu City airport. The wonderfully landscaped lawns, underground utilities and scenic lake and mountain views truly make you feel at home in this well kept area. Every home has a tile roof and is well kept in this popular community.